There's a new fundraiser to benefit Great Northwestern District Community Relations Organization, which serves as a liaison between the Detroit Police Department and the neighborhood. It's also a great deal. For the low price of only $35, you will receive a beautiful bouquet or potted plant each month for a year. 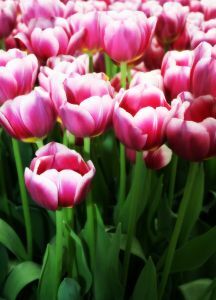 Tulips, mums and roses are just some of the beautiful flowers that await you. One can find an informational flyer and order form is available on-line here.